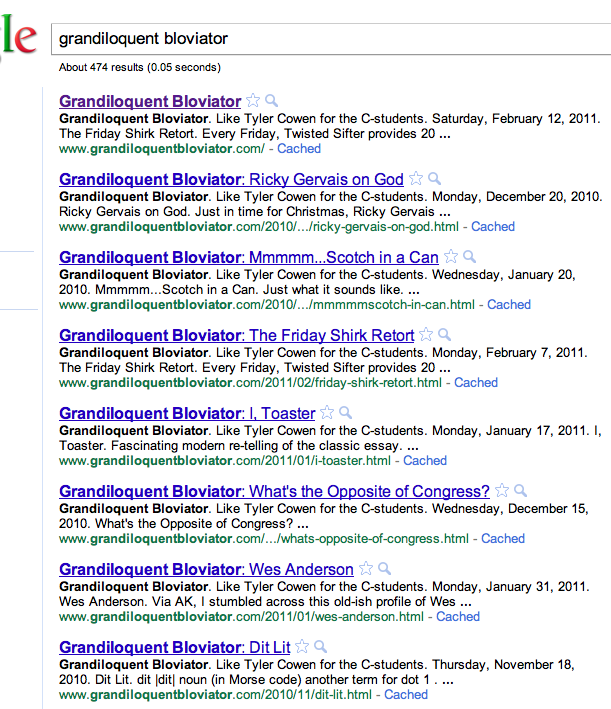 Grandiloquent Bloviator: #1 on Google! Google "grandiloquent bloviator" (with or without the quotes), and what do you get? Now THAT's dominating the web! I'd like to thank all three of my readers for making this blog the runaway success that it is.